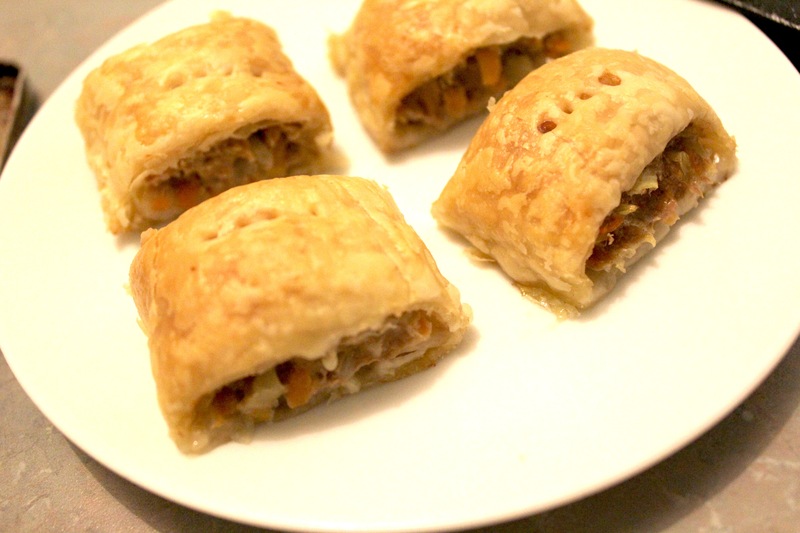 Homemade Sausage rolls | Hey Bernice! There is one claim to fame I will happily take – that a friend’s five year old loves them (and my banana bran muffins), and he doesn’t eat much other than Kabana! So that was a big triumph! The great thing about this recipe is you can pack it with carrot (or zuchini… or anything that can be grated), wrap it in pastry, top it with tomato sauce… and the kids will never know! Spread the pastry sheets out on the bench (leaving the plastic sheet on the underside). Take a knife and run it down the centre of each pastry sheet. Mix all the ingredients (except the pastry, of course!!) together in a bowl. I find it is best to use your hands to mix it – yes it’s a messy job, but will mix together better this way. 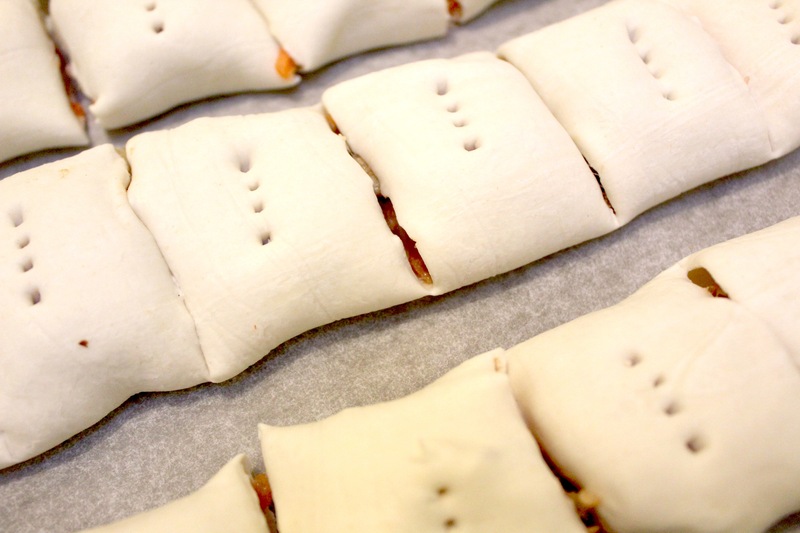 With a spoon, place a line of meat mixture down the length of one half of the pastry sheet, closer to one edge. Take the edge that the mince is closest to and roll it over to meet the other side. Run a pastry brush (or your finger!) with milk on it down the length of the pastry where the two sides meet to help it stick together. 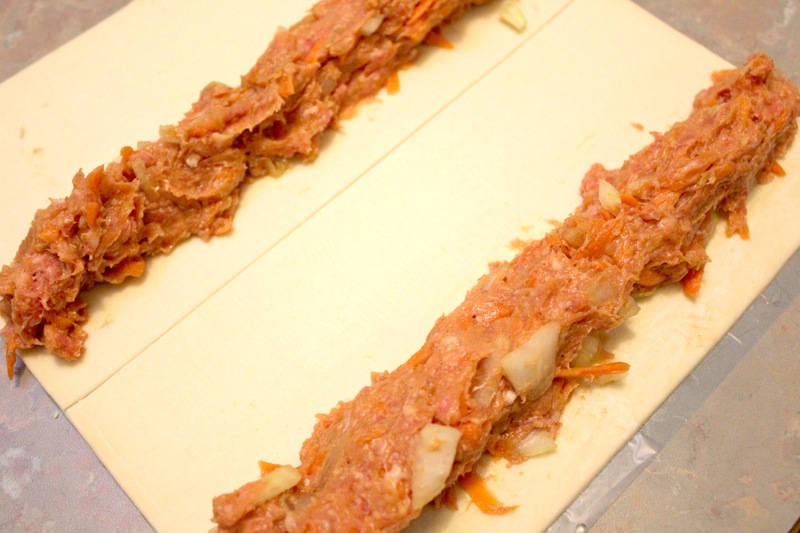 Place the sausage roll on the bench, with the join underneath. With a sharp knife cut the length of sausage roll you wish to have. Then prick with a fork. Place on a greased (or lined) baking tray, brush with milk, and cook until golden brown (20-30 minutes depending on your oven). Best served freshly cooked, however they do freeze really well. Your homemade sausage rolls look fantastic!! I have never seen any like these before. Thanks for sharing this recipe with us readers. I will be trying this one asap!!! Thanks again.